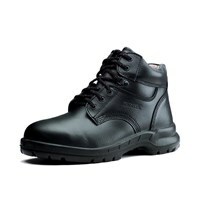 KINGS KWD 803 laced safety boot comes with quality accredited standards. Made from full grain leather, Its comfort supported by Extra thick full length fabric-lined˙EVA foam˙insole with shock absorption, anti-bacterial and anti-static properties. Recognize one of the most valuable products to customers who involved in landscaping, construction & forestry. 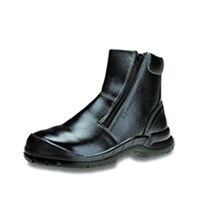 KWD 803 has outsole resistant to oil & acid (alkalis). KINGS KWD 805 is one of most well known product from KINGS. 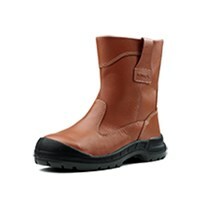 Made from full grain leather pull-up safety boot with quality-standards-accredited, designed for comfort and has a higher neck for extra protection. This shoe has been favorite for most working condition especially for mining, manufacture, automotive, construction & forestry. 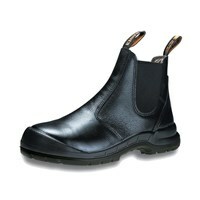 KWD 805 has outsole resistant to oil & acid (alkalis). Its comfort supported by Extra thick full length fabric-lined˙EVA foam˙insole with shock absorption, anti-bacterial and anti-static properties. 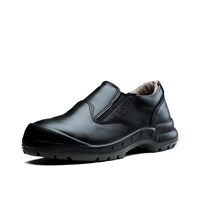 It also provides extra comfort for long hours˙of usage. KINGS KWD 807 adalah salah satu dari KINGS paling populer. Produk berbahan kulit gandum penuh slip-on berkualitas standar-terakreditasi sepatu keselamatan. Sangat nyaman di kaki dan sangat layak untuk dibeli dan cocok untuk kondisi kerja yang paling ekstrem dari dalam ruangan ke luar ruangan. KWD 807 memiliki tahan terhadap minyak & asam (alkali) outsole .Lapisan ekstra tebal panjang penuh kain berlapis Eva-Foam insole dengan penyerapan shock, sifat anti-bakteri dan anti-statis. Hal ini juga memberikan kenyamanan ekstra selama berjam-jam penggunaan.